Have you ever bought a piece of clothing only to discover when you first wear it (after you take the tags off, of course) that something about it drives you CRAZY? Well, the other day I bought a new pair of skinny jeans from TJMaxx that fit perfectly (yay!) and were really pretty comfy (double yay!). But the first day I wore them, every time I glanced down my fly was open! ARGH! The zipper wasn’t totally broken, it just didn’t stay up very well. 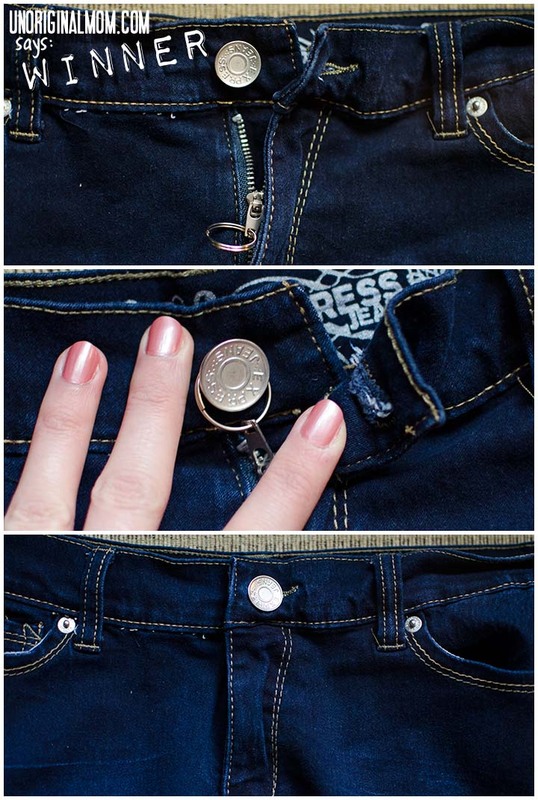 So just as I was about to give up on my jeans, I remembered the Pinterest tip I’d seen several times – use a key ring to hold up a broken zipper. Worth a shot, anyway. So I wandered the house, looking for a key chain to cannibalize that would be just the right size to use. The key ring I used is about the same size as a penny…ideally it should be just a little bit larger than the button on your jeans – big enough to get around the button, but small enough that it can’t be seen when buttoned. The only negative thing is that the key ring I found is a little bit of a pain to get off the button, but not impossible…and definitely worth it to save these jeans! Do you have any pairs of pants in your closet that might get a new lease on life with this tip? Brilliant! I just put a favorite pair of jeans in the “Goodwill” pile because they had this problem. Can’t wait to try this! Yeah, I’d seen this a few times and was skeptical if it would really work and not look or feel weird, but it totally does! Yes! 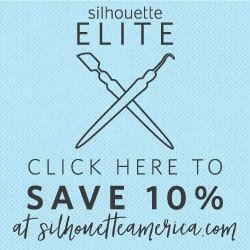 So thankful I saw this while browsing your site. One of my most fav jeans were ready to be sacked – now I can save them.